The whole year for me was all about Kyle Jenner's Lip kits. I caved into the hype and ended up loving them. The formula is incredible, a little drying but gives such a great outcome. I ended up buying 6 last year and I am not even sorry. My fav has to be Koko K for sure. Good job Kylie. Next, has to be my Urban Decay Gwen Stefani palette, I received this as a gift from my parents for my Christmas 2015 and have loved it ever since. The shades are just perfect for an everyday look but also can be made for going out. Anaheim and Zone are my go-to shades for a subtle look but they also work well as an eyebrow shade too. Blonde and Skimp are super pretty for highlight under the eyebrow and in the tear duct area. Lastly, I loved the Anatasia Beverley Hills Contour Kit, I purchased this whilst I was in Soho and fell in love. I was a bit sceptical about using cream products but it just gives an extra depth to the face and gives the perfect contour. I use a mix of Fair and Neutral for highlight and a mix of Java and Light Sculpt for contour. I will say that I only use this when I am going out as I find it quite heavy but overall I am obsessed with this. I stepped out my comfort zone this year when it came to skincare, I tried new things and ended up loving Dermalogica. I was given this free at the National Television Awards and have been obsessed. I think I featured each thing in one of my favourites through the year, my go-to's have been the Multi-active Toner and Active Moist. Next, up has to be my love for Liz Earle, I don't know why I never went near her products before but I am so glad I did. They have been a complete life changer, they have become a firm favourite in my skincare routine. I got both the Instant Boost Skin Tonic and Soothing Eye Lotion for my Christmas and I am in love. I obviously have to mention Zoe's products, whether it was her Sweet Inspirations, Lifestyle or Christmas range, she basically killed it!! I was lucky enough to get my hands on most of each range and loved every one. My favourite has to be the Christmas range, I am still using the hand cream and it is making me miss Christmas so much! Also, I have to love it as can we thrown it back to when Zoella Beauty used my pic, complete fan girl and claim to fame!! I went full on with reading, I love reading but I just don't find the time. However, last year I think I was a lot better. I crammed a lot more books in and even did a blog post about it!! My top books where the Divergent Series, I was a bit sceptical but it kept me going through my holiday and I love them. I just watched the movies and I don't think they give the book justice!! All The Bright Places has to be my favourite, this was in Zoe's book club and I am so glad I read it! It was amazingly written and gives you a wave of emotions throughout!! Highly recommended! Next, up has to be my Bath and Body Work candles, I love candles but nothing will compete with the scents I bought at Christmas! Pumpkin Pecan Waffle was heavenly and Sweet Cinnamon Pumpkin was Christmas in a jar! I will have to try to pick some more up when I go to America in summer!!! I stepped up my game when it came to adding some accessories to my outfits. I jumped onto the choker bandwagon and actually fell in love with wearing them, this one I picked up in Matalan and I just think it is the cutest! I never wore them as much as I wanted to as I have a lot of high neck tops but when I did I loved it!! Throwing back to 90s/00s!! Is it acceptable to still wear them?? I hope so!! Scrunchies are also something I fell in love with! I had seen so many people rocking them but I just never brought myself to buy some, however, I found this cute set of two on Amazon and I had to buy them! One is a black velvet which was perfect for Christmas and a red tartan one which was great for the whole of Winter! I found it great to add a little more to my hair after I got it all chopped off! I may have to buy more 'Spring' coloured ones!!! Again major throwback to when I was younger!! Last but not least Earrings!! Fun fact, I thought I had a bad nickel allergy so I have never worn earrings that were not gold since was like 8/9! But last year I decided to chance my luck and try out a pair of hooped earrings I got last Christmas!! I saw hoops everywhere so I wanted to join the trend, thankful my ears were fine, after 13 years of boring earrings I could finally wear 'normal' earrings. I popped on Asos and found these bigger rose gold hoops, they are quite thin, however, I love them!! Firm fav of January 2017!! Let me know what you loved in 2016 and what you have been loving this month? Sorry for this being so late, but I was so happy with this post I didn't want to scrap it!! I am obsessed with hoop earrings! I never outgrew that "phase" as a teenager haha!! And Kylie Lip Kits!!! They are amazing! I need every single one!! I did go through a stage of deciding they weren't worth it but they deffo are! I keep meaning to read the Divergent series but not got round to it yet! I've not actually seen the films as I prefer to read the books first. Lovely favourites, love that there's a bit of everything in here! I've never tried a Kylie lip kit and really want to! I also loved the Divergent series, I really get stuck into things like that! I still have yet to try any zoella products! Love the Gwen Steffani palette! Some great pics 😍 Love the ABH contour kit!! I loved the Divergent series! Was so sad that it ended. I like the sound of the eye shadow palette too, might have to give it a try! Loved seeing what you loved in 2016! I wish I had more Kylie lipsticks, and I'm so jealous that you were able to get some Bath & Body Works Candles!! I agree completely about the movie v books for divergent! The books are spectacular but the movies miss the mark by a mile, sad but true! For someone who hasn't read the book, the movie probably seems good, but if you have read the book I just don't think that adaptation is right! What a great round up of products! I think I need a new Kylie lipkit, everyone else loves them but I have Posie K and I'm not too keen. I still like and use it but I always choose others over it! I really need to purchase some ABH, I've dropped a hint at my boyfriend for my birthday! Great post! Instagram worthy is a great measurement! (: Thanks for sharing this because some of these are brands I've never heard of before. Love this post! I have been using Liz Earle for years - it's a fab product. I also keep thinking about buying the book, I think I might have to now. I've wanted that Urban decay palette for so long, the colour range is perfect!! And can we talk about the gingerbread cream, so so yummy all year round !! I first tried bath and body works in 2016 and i LOVE them!!! I love that you've discovered so many products in the past year! I was definitely more daring with beauty products last year! 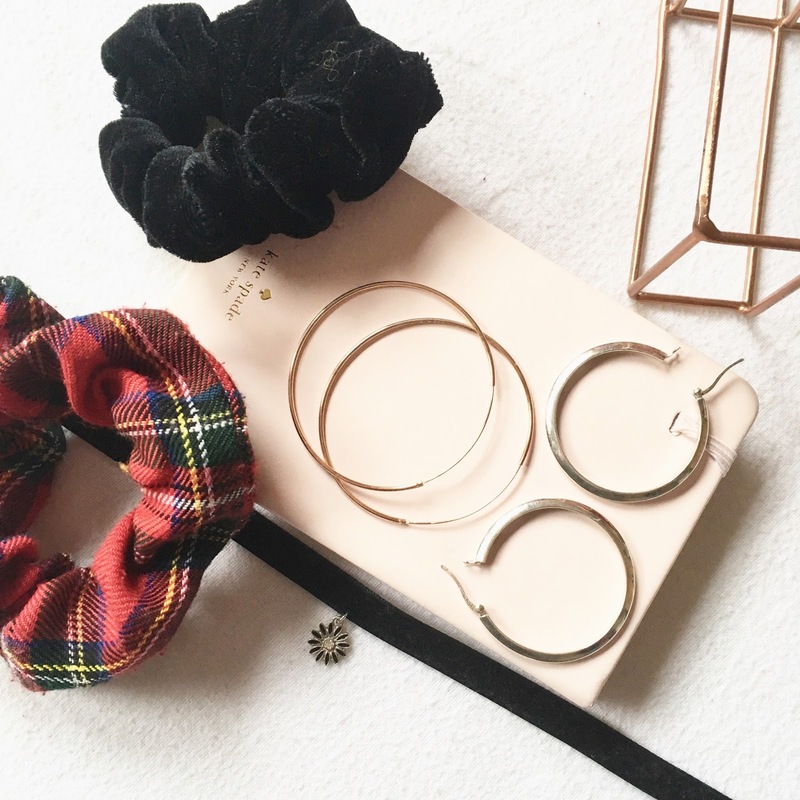 Thanks for sharing your favourite buys! I've heard such mixed reviews of the Gwen Stefani palette, it's great to hear that you love it so much! I was also loving that scrunchies came back in 2016, I used to wear them constantly as a kid but my hair is just too short now, waaah 😭 Thanks for sharing your faves, it's never too late! I loved this post ❤ The way you set it out was great and I loved the read. I really do need to try the Kylie lip range out. I've heard so many great things about them.